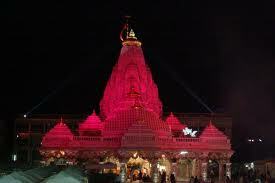 Bhadrapada Ambaji fair will Coming on 30 Saptember 2012 and Gujarati Month Bhadra Full Moon Day in Ambaji Gujarat. 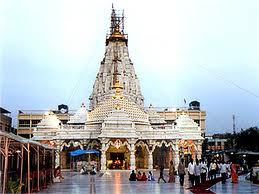 Ambaji mandir is one of the most revered and ancient temples in India. There is no deity of the Goddess in the temple but there is a triangle with a sign of Shree in it. 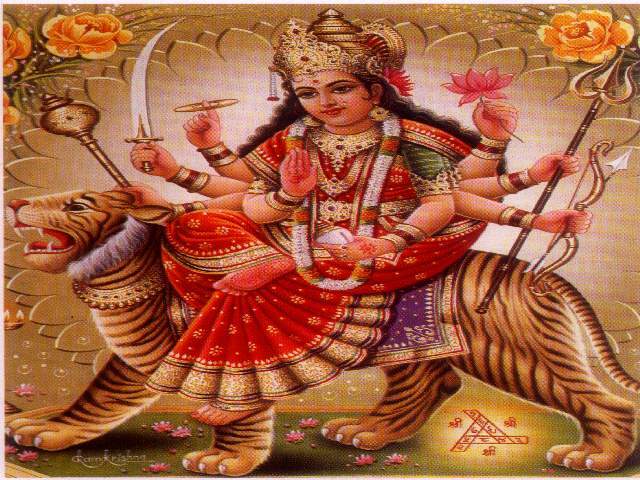 This form of Goddess is known as Vishwa yantra. 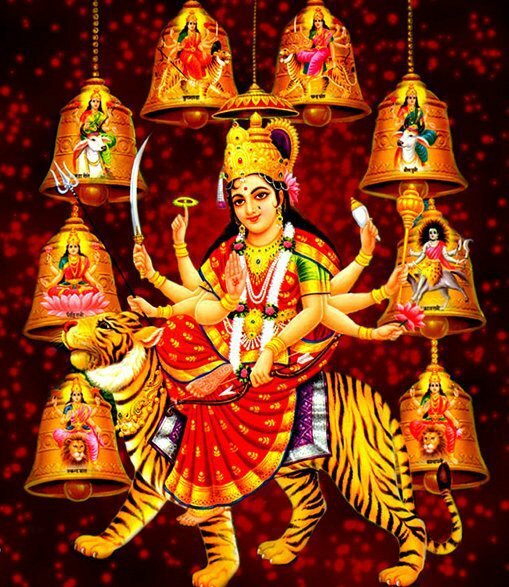 The goddess is also known as Arasuri Ambaji, for the temple is situated near the Arasur hills.Ambaji mandir is one of the 51 Shakti Peetas in India. 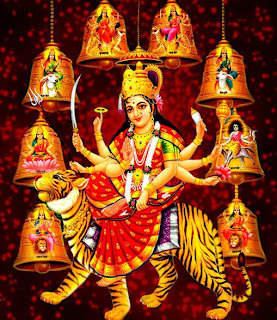 It is said that when Sati was cut into pieces by Sudarshan chakra, her heart fell in Ambaji village. In another legend it is described that Lord Krishna had His tonsorial ceremony in this village.Bhadrapada Ambaji Fair is a multicultural fair where not only Hindus but people from all religions take active participation. 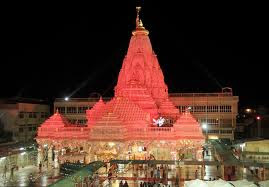 The fair organised at one of the most ancient and revered temples in India ie: temple of goddess Ambaji.From over the recent years, the fair becomes very popular hence around lakhs of devotees come from all over the India even from abroad. 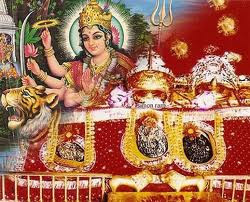 Chanting holy mantras,stotras, rituals,special pooja and other different ceremonies conducted inside the temple. 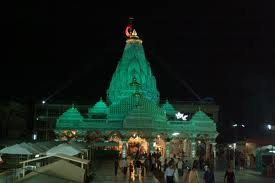 Cultural programs like folk performances of Bhavai,Garba dance and many other cultural programs draw full attention of the visitors.Bhadrapada Ambaji fair is held every year in August-September at Ambaji. It corresponds to Hindu month of Bhadrapada. This fair is specifically more important to farmers as it symbolizes the end of busy monsoon season for them. Ambaji fair is annual festival of the temple. Lakhs of devotees come from all over India and abroad. 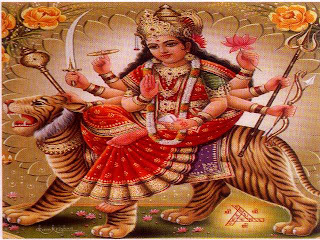 Several rituals and poojas are conducted on the day like chanting holy mantras and stotras. 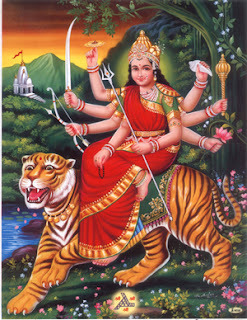 Devi saptashati, a prayer of 700 verses is recited in the temple. Several cultural programs are held among which “Bhavai”, a folk drama of Gujarat draws full attention of the visitors. 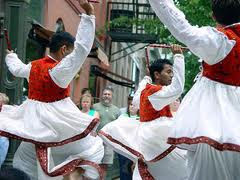 Garba dance and other cultural events make the celebrations very special. Ambaji fair is a multicultural fair. Over years it is becoming more and more popular. 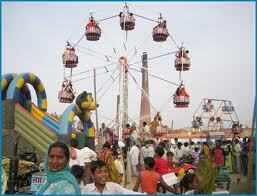 Not only the Hindus, but Jains and Sikhs attend the mela with great enthusiasm. It has become a place of many traditions and religions. Farmers celebrate the festival with great fervor as the month marks end of busy monsoon season for them. They come and pray for better yield for the year.